The rope’s wrong. The release is missing. 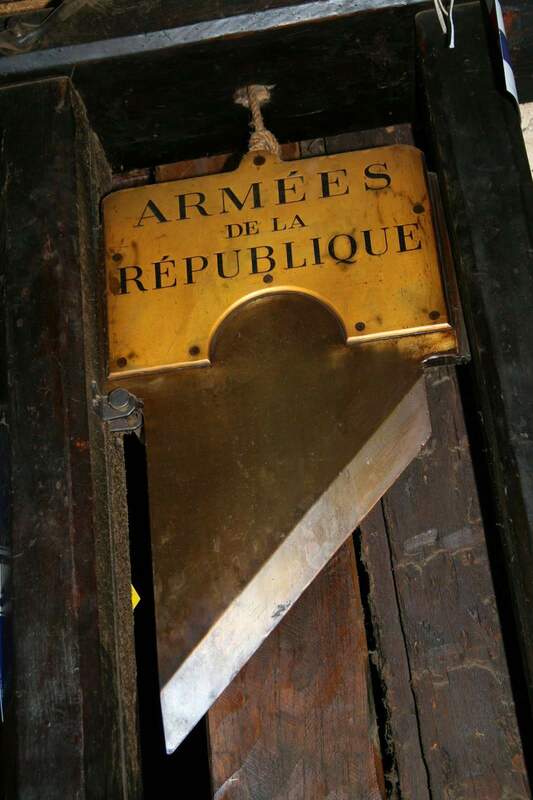 That’s a pretty bad fake guillotine, but the blade … ooh someone put some time into profiling that bevel. Nowadays that’d be pretty easy (but time-consuming) on a milling machine. Administrivia Note: I just got called out to a gig in Los Angeles for 2 weeks, so (depending on how things are going) I may get quiet. If anyone wants to get together for dinner at Palms Thai in Hollywood [pt], I’d be happy to use you as an excuse. Not at all. It would be securely fenced because collective protection is higher up the heirarchy of controls in European health and safety law and practice. There would also be an interlocked control for the operator so they didn’t nick a fingernail whilst it was in motion.